My Random Musings | Train yourself to let go of everything you fear to lose. I have missed writing posts on a regular basis for a while. It is not because I do not want to, but it is because I seem to just constantly stare at a blank screen and struggle to let the words flow. It is disheartening to think that I am somehow a better writer when I am heartbroken. Maybe heartbreak is my muse. Since there is no heartbreak in the horizon, I have to find something else to write about. Today is a beautiful summer day and I decided to head out to the coffee shop, sit outside and force myself to write. I need to write, I need to find that muse again and find a way to let the words flow. It has been months since I have been back from my last overseas trip and as much as I am ready to take off again, the reality of things are different. I struggled to adjust to being back here and trying to get into the routine of things. 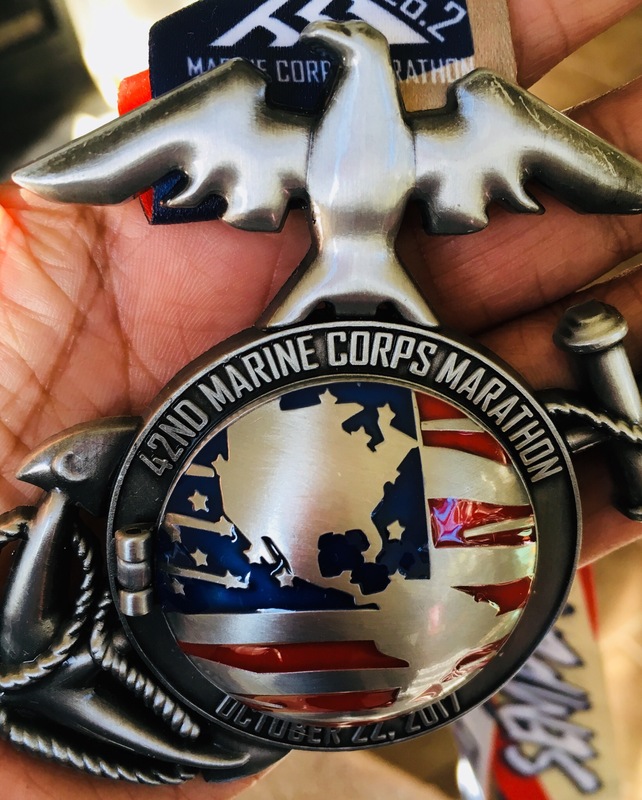 Even running turned out to be a chore, but I signed up for a few half-marathons and the Marine Corps Marathon again, which forces me to lace up and go run. Besides that I have taken on the challenge of baking for 2 farmers markets on a Saturday, which means waking up to a blaring alarm at 4.3o am. 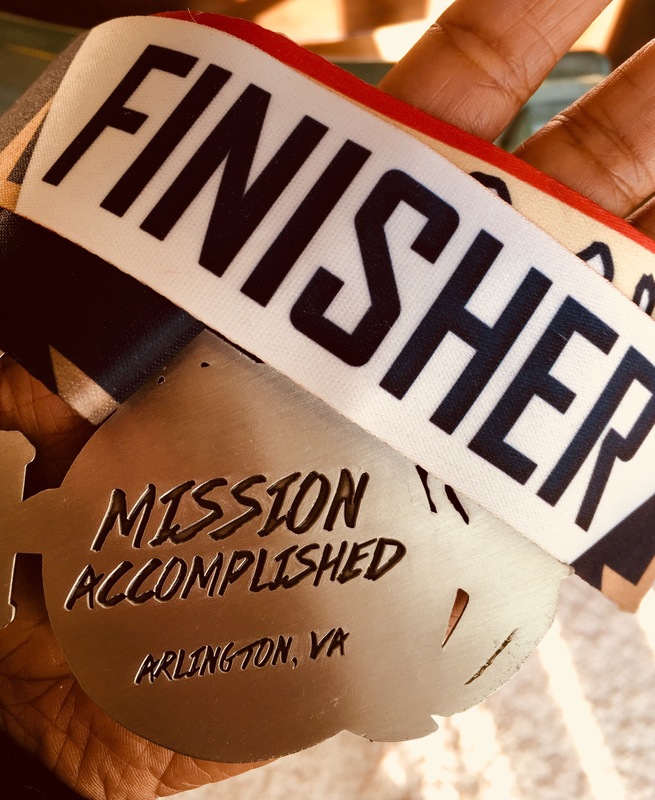 I question my sanity for having taken on this challenge, then I realize, this is no longer a hobby, but a full-blown profession that I have taken on. I stumble around in the dark, the only sound to disturb the silence is my feet hitting the cool wooden floors and the wind chime outside. I step outside to take a breath of fresh air and enjoy the coolness of the summer wind, while the oven heats up. I am not a morning person, but yet love early mornings when it feels like the rest of the world is still asleep and I am the only one who isn’t. It is easy to forget problems for that brief moment, while watching the sunrise in the distance. Even though I could stand there enjoying the only quiet moment I might have for the day, I step inside to get into my baking routine. When I agreed to take this on, it seemed simple. It was just a matter of doubling everything I make. I wish I could still call it simple! It has turned out to be more challenging than I bargained for. Items popular at one market is not necessarily popular at the other, which in turn meant making different things for 2 markets and trying to do that on a weekly basis is not easy anymore. There are plenty of times I have come close to calling it quits, because I just lack the motivation to keep doing it, but I talk myself out of it, because I don’t want to quit when things get tough and I never want to consider myself a quitter. This is a dream I have been trying to pursue for a while and I have my share of stumbling blocks and constantly feel that I take 2 steps forward and I eventually find myself taking 3 steps back. I want to stay focussed, but the biggest stumbling block I seem to face is myself and the fear of failure. It seems no matter what my intentions are, I fall off the “I am going to write often band wagon”. I have every thought of writing frequently and I get side tracked with mundane things. There was the trip to Sri Lanka, from where I ended up heading to Australia to see my nephews and Malaysia to see my niece. Today sitting at my new favorite coffee shop, sipping on a cup of coffee, watching the rain come down seemed like a good day to catch up on some writing. I used to have my favorite coffee shop near my old apartment, but since I moved away, I have not been able to find a replacement for it. But now I have found a new one closer to where I live and just maybe that will help motivate me to write a little more frequently. There are no words describe how wonderful Australia was. The food, the coffee, the sites, the catching up with friends and family I have not seen in almost 20 years, did I say food? Life seemed so different and a little slower and people seem to be not caught up in a constant rat race. Maybe this is was my impression because I was on vacation, but every friend I met would only rave about how wonderful their life was in Australia. I could go on and on about my trip and how I was dragged to the airport kicking and screaming, but instead I will share some of my favorite pictures from my trip. languages I call my tongue. and who I am meant to be. It’s Sunday morning and I am strolling the beach in Sri Lanka. I watch the laughing children at play and parents holding their kids as they stand on the shore watching the waves. Life somehow seems simple and uncomplicated at that moment. I feel a tinge of nostalgia pass me, I miss being able to do this. Maybe I am getting more melodramatic because my vacation is soon coming to an end and it is time to face the challenges that will come my way. Part of me is so torn and I want to move back here and enjoy the simplicity of life, but the other part of me is scared. I constantly question if I am ready for that leap yet? Am I ready for the clash of the 2 cultures I often find myself torn between? Rationally, moving back should not be scary. After all this was and is home to me. The place I belong, even though I am technically considered a tourist. At the end of the day no matter where I roam or lay my hat, when someone asks me where I am from, my immediate response is Sri Lanka. I can adjust and adopt a different accent, carry a different passport and live my life in a different part of the world, yet, this is where my roots begun, this is where the seeds of who I am were sown and therefore, there is no escaping the harsh reality of the truth of who I am, but constantly wonder who I am meant to be. It’s almost midnight and here I am on another train heading towards the South Central part of Sri Lanka. The window in my cabin is open and the cool air blows in, and I sit staring at the stars glistening above. I realize this is the closes I’ll come to sleeping under the stars. My friend Sue and I had talked about taking this particular trip for over a year. We finally booked the train tickets a month ahead, not knowing what to expect on a night train ride. We were shown to our bunk beds and we both just stood there laughing, thinking that this was going to be one long train ride. It’s about 3 hours into our ride, I have the lower bunk, which gives me a vantage of seeing the stars and city lights in the distance. From time to time I stick my head out to catch a glimpse of the starry night and feel the cool breeze on my face. Trying to sleep in a moving train is almost impossible. We finally reach our destination 10 hours later. We stretch our achy and tired limbs and head to find our hotel. After a few hours of sleep, we head out to our first stop, which is called 9-arch bridge or also called sky bridge. Construction of the bridge was completed in 1921 and is spectacular when you watch the trains going over it. The bridge is a huge tourist attraction not only because of the hike to get there, but also because it was built with only stone, sticks and cement and no steel. I realized that this was going to be a long weekend, when my friend started to complain about everything. If we had to walk a few kilometers she complained, if the sun was shining brightly, she complained, It really did not matter what it was, she found a reason to complain. However, after a few hours I learnt to tune her out and do the best to make my visit an adventure. I was unaware of all the hiking involved, but yet I was up for the challenge. Sue on the other hand decided to sit at the bottom while I went on all the hikes. Despite her best effort to dampen my trip, I managed to capture the images I wanted and do the things I had planned. The train ride back home was another long 10 hours. Since this was during the day, I managed to enjoy the views of the lush green tea estates, the waterfalls and the mountains in the distance. The random conversations with others passengers also visiting Sri Lanka, made the train ride go by faster. Here are some of my favorite pictures I captured.